Kibbe Klassic Charity Golf Outing Raises $4,500 for Safe Harbor | William A. Kibbe & Associates, Inc. 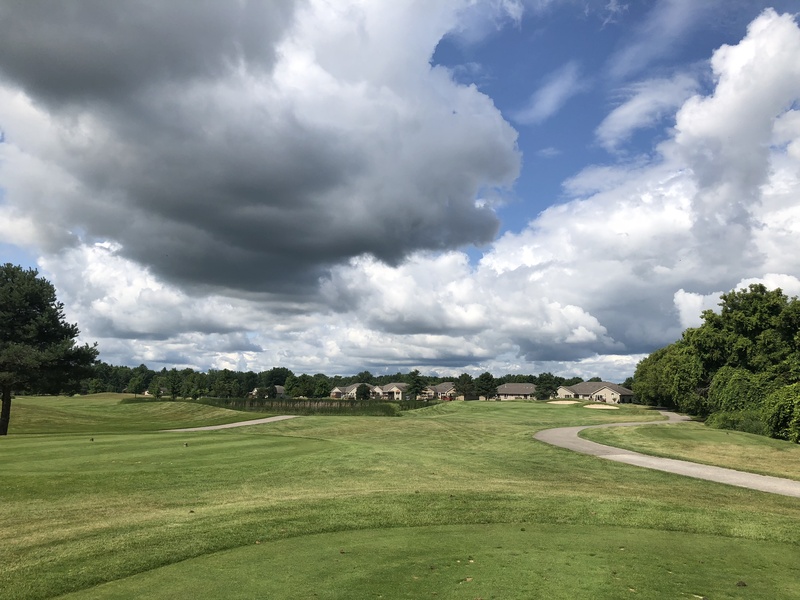 The 2018 Kibbe Klassic charity golf outing took place on Friday, July 27, at the Sawmill Golf Club in Saginaw, Michigan. We’re thankful for another successful event this year and the (mostly) good weather we had. 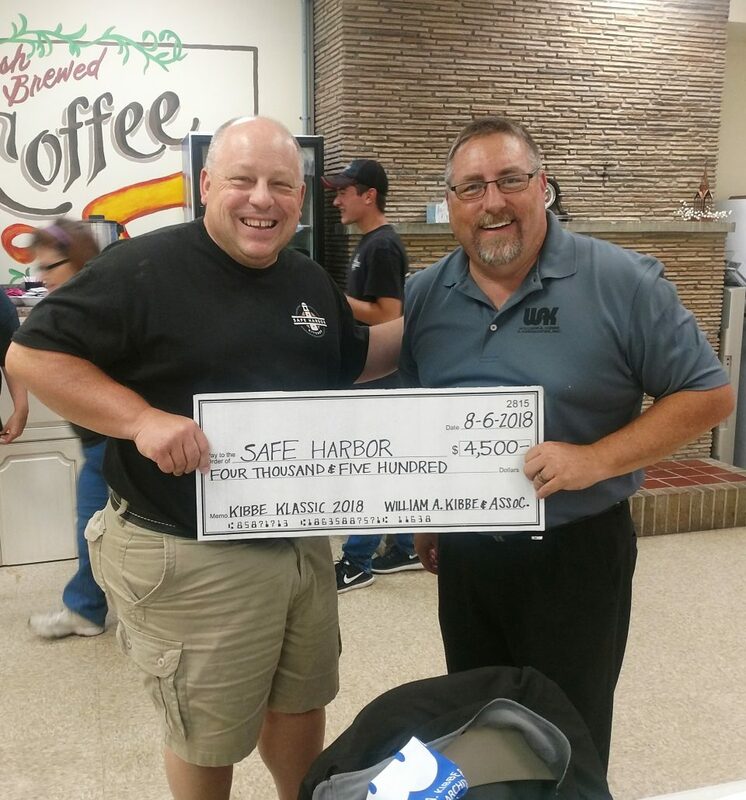 Pastor Steve Roe of Safe Harbor accepts a check from WAK’s Jay Wheeler. The Kibbe Klassic began seventeen years ago after golf enthusiasts at the office began thinking of ways to organize a fun outdoor event among colleagues. After the inaugural break-even events we began donating proceeds to local charities. The result was the Kibbe Klassic – a daylong golf event that includes use of the driving range, 18 holes of golf, lunch on the course, dinner reception, and prizes. This year we were able to raise $4,500 in proceeds to be donated to Safe Harbor – a Bay County non-profit ministry built around helping those in need by providing hot meals and pantry food items to the community. We would like to thank our generous colleagues, sponsors, and participants for joining us to help contribute to this worthy cause in our community!